Men's show jacket Jonas. It is made of elastic material of the highest quality, which at the same time is breathable. 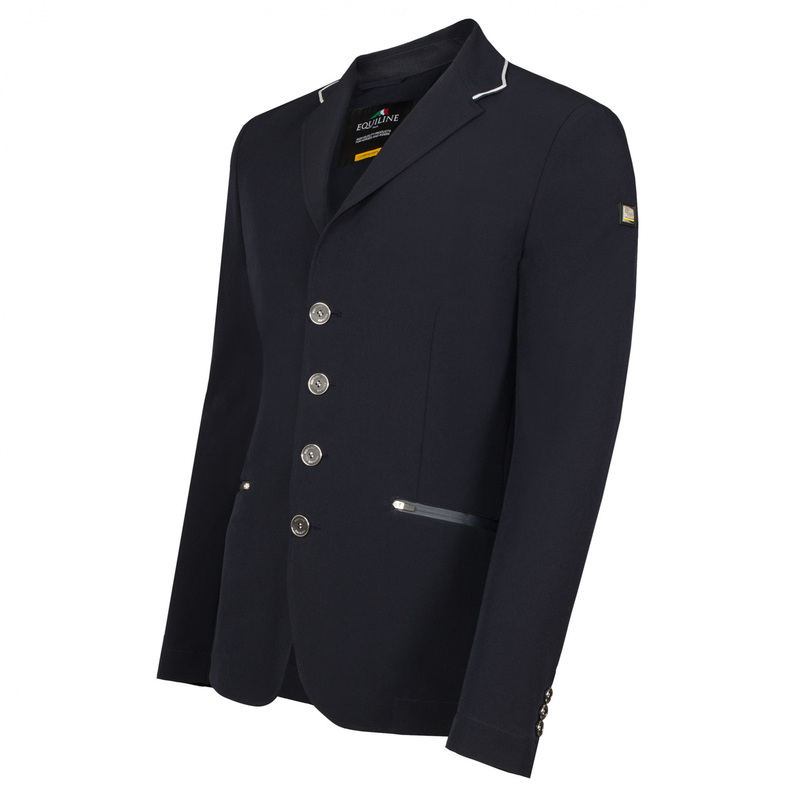 Each detail was dilligently produced, providing comfort and full freedom of movements during riding at competitions. Contrasting white stitches are placed by the collar. 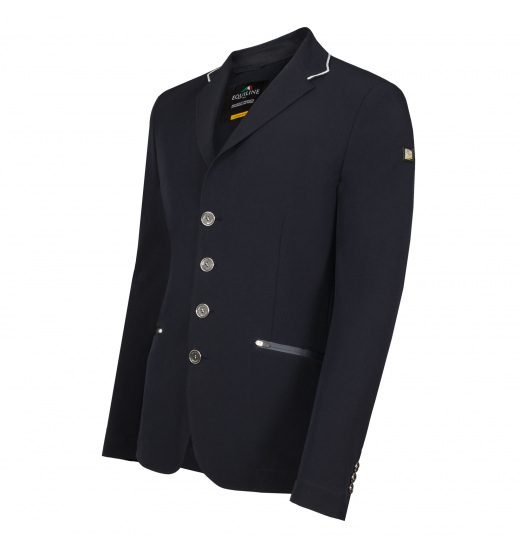 The jacket is fastened with classic buttons, it also has two pockets fastened with a glued, waterproof zip. A small metal Equiline logo is on a shoulder.